Jan. 18 (NBD) – The 2019 Tencent Digital Creative Festival, an upgrading of the tech giant's Tencent Games Carnival (TGC), is being held in Southwest China's Chengdu from January 17 to 20. This is the first offline event held under the new name. 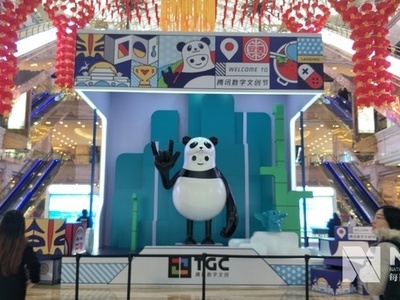 Unlike previous TGCs that focused on games, this year's event is attracting wide attention with a combination of cultural creativity and city images, marking Tencent's exploration in integrating new creative industry with a particular city. At the opening ceremony on Thursday, Jing Jing, vice mayor of Chengdu, and Cheng Wu, vice president of Tencent Holdings and CEO of Tencent Pictures, jointly launched the "Symbiosis of Digital Creative Industry and City" program, which will boost the two parties' cooperation in developing creative industry, fostering creative talents, and branding city image. Jing Jing said that Tencent's decision to land its newly upgraded TGC in Chengdu injects fresh vitality into Chengdu's efforts to build a creative industry hub in western China and a world renowned cultural city. Cheng Wu commented that Chengdu's plan to build a world renowned cultural city offers Tencent a historic opportunity to integrate Tencent's creative business sector with the city. More importantly, Chengdu already has considerable achievement in digital creativity. Hou Miao, a Tencent executive in charge of the esports business, remarked that Chengdu has always supported the development of the cultural and creative industry, and the city is among Tencent's most important bases in China besides the headquarters in Shenzhen. For example, the 2018 King Pro Leauge (KPL) Finals were held in Chengdu last month, and local team "Hero Jiujing" successfully defended their championship. KPL is an esports tournament centered on the wildly popular smartphone game King of Glory, which was developed by a Chengdu-based studio owned by Tencent. Regarding how to accentuate a city's unique characteristics, Cheng pointed out that building IP is an important method in city branding. The word IP is short for intellectual property, used in China as a buzzword for creative works that can generate multiple forms of spin-off products. Cheng used Kumamon, a popular mascot bear created to represent Kumamoto Prefecture of Japan, as an excellent example. He said the bear makes Kumamoto a worldwide famous place, and enables people from around the world to experience the cultural characteristics of the prefecture. Similarly, Tencent will explore ways to fuse popular culture IPs into Chengdu's city culture, to let more people experience Chengdu's boundless charm and vitality, said Cheng. Specifically, Tencent plans to activate Chengdu's rich cultural heritage via multiple forms including games, anime and music. Last October the King of Glory introduced a Chengdu-themed skin that included typical local elements like panda and Sichuan Opera, giving millions of young people a chance to touch Chengdu culture in a brand new way, said Cheng. Tencent will also select IPs from popular culture that match Chengdu's temperament, making these images an integrated part of entertainment and daily life of local citizens. 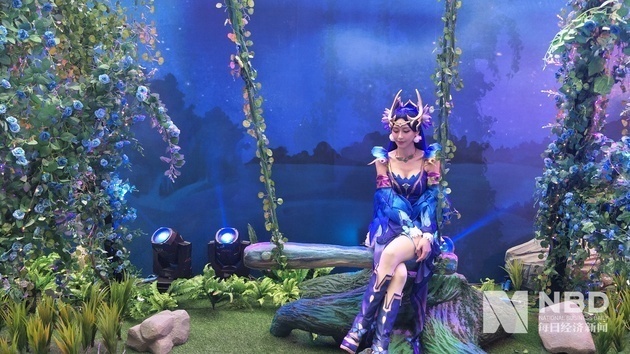 For example, Tencent is mulling to let Feng Baobao, the heroine of a popular Tencent anime, guide travelers to stroll in Chengdu with the help of AR technology. Moreover, Tencent plans to boost Chengdu's cultural innovation and digital creative industry with its leading technology and powerful platform.